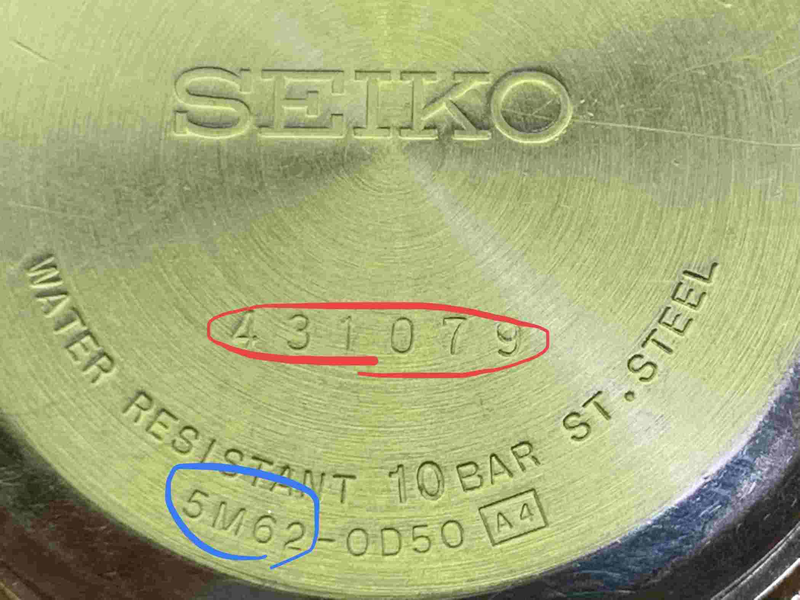 The Calibre number is on the rear case (in blue). It is the first four characters of the set of eight, not the six digit serial number (in Red). 5M42, 5M43, 5M54, 5M62, 5M63, 5M65. 7T04, 7T11, 7T22, 7T24, 7T27, 7T32, 7T34, 7T36, 7T39, 7T42. 7T44, 7T52, 7T59, 7T62, 7T82, 7T84, 7T85, 7T86, 7T92, 7T94. V110, V114, V115, V116, V117, V137, V138, V157, V158, V182, V187.